Sit back, relax and get pampered. At Alora - Hair, Beauty & Spa, we offer a wide range of spa and beauty facial treatments. Our beauty facial treatments ranges from Phytogen Facial by Jannsens that will leave your face clean of comedo, to Diamond Microdermabrasion Treatment. 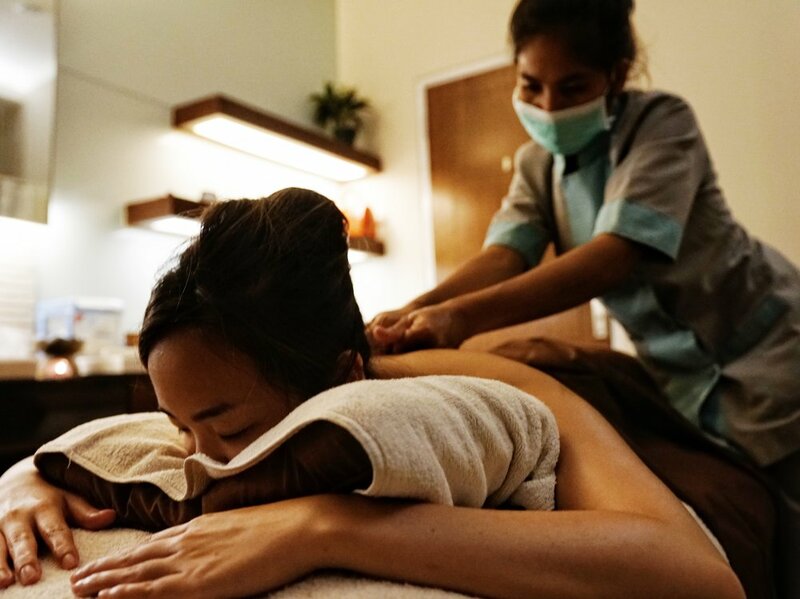 Our family friendly spa offerings ranges from our all time favourite Full Body Traditional Massage, to Face Acupuncture all the way to Couple's Massage. Whether you're looking at rejuvenating yourself or just a break from the hustle and bustle of everyday life, Alora is the one stop location for you to go. The fashion industry can be very demanding sometimes. During high fashion weeks, I tend to push myself way too hard. Once in awhile, I'll drop by Alora - Hair, Beauty & Spa in Jakarta Barat for a much needed me time. The ambience of the spa is excellent, and the therapist sure know exactly what they're doing. They're also extremely friendly, which makes me feel right at home. The most efficient facial therapy from the sea. Containing algae and plants extract, the cooling sensation tightens the skin, shrinks the pores and increases skin elasticity. Promotes healthy blood circulation resulting in fresh, hydrated and bright skin instantly. A crystalline powder diamond tip is used to softens and exfoliates dead skin cells, restoring the skin around the face and jawline back to elasticity. Skin will feel smoother, brighter and younger. Your make-up and skincare daily regiment will not be the same afterwards. Safe for all skin types and mature skin. An anti-aging specialist, gold facial works wonders in rejuvenation of the skin and enhancement of skin elasticity. Gold Facial by Alora is a peel off mask and is Suitable for both oily and dry skin. Give your skin a break from the aggression of the sun, dirt and pollution. Encourages the skin to purge, detoxify and cleanse while purifying and rebuilding skin texture. A must have to remove environmental toxins and free radicals that your skin have absorbed. Best suited to those with oily, breakout prone or congested skin. Radio frequency (RF) is a non-surgical means of "reshaping" the body and the face from beneath the superficial layer of the skin. This method uses sophisticated devices specifically designed to treat the most common skin aging problems like wrinkles, excess fatty tissues, or cellulite. The method utilizes radio frequency waves which is basically heat energy meant for tissue remodeling and production of elastin and new collagen. RF energy alone is primarily used to treat skin laxity by facial tightening, and is best suited to those with mild to moderate sagging of facial tissues, from mid-twenties to fifties, with any skin color. Benefit of radio frequency treatment includes diminishing and removing cellulites, reduction of body fats, tightening of the skin, contouring and shaping. Alora's premier spa service. 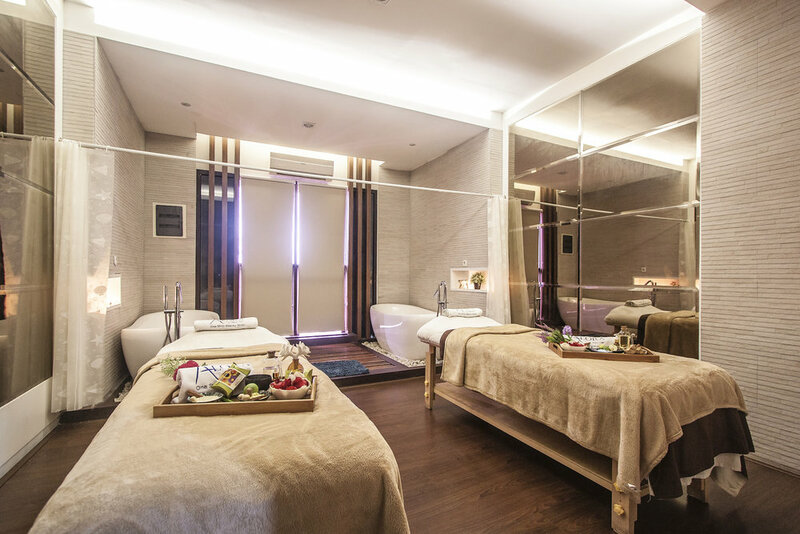 Alora's Signature Body Spa starts with a 90 min relaxing full body massage, continues with a full body scrub for maximum exfoliation and brightening body mask, and ends with a bath of your choice. perfect for an ALL-IN-ONE. Choose from your choice of Oil (Jasmine, Lavender, Lemongrass), Scrub (Honey, Avocado, Green Tea, Jasmine, Javanese, Grape, Mandar) and Bath (Milk & Bubble, Herbal). Complimentary ginger tea/hot tea and personalized bath salt & body lotion. Alora's signature massage combining Javanese and Swedish techniques from head-to-toe. Choose from aromatherapy oil or dry massage, depending on preference. Head-to-toe massage with organic scrub to exfoliate dead skin cells and maintain a brighter, smoother skin. Treatment for couples, Alora's signature Traditional Massage for two with a bonus of face accupressure. Using reflexology technique for hand, foot, back, shoulder and head. Perfect for a refreshing break and quick pampering. A facial massage to tighten and tone sagging skin, facial acupressure uses a deep tissue massage to stimulate muscle fibers and nerves, boosting collagen production underneath the surface of the skin to keep skin firm and supple. Perfect solution to refresh and relieve headaches. The Javanese recipe for a special V-Treatment using natural herbs to clean and refresh your intimate womanhood area. Perfect for married women, before and after menstruation, during pregnancy and to keep your daily hygiene in your V-region. Alora - Hair, Beauty & Spa is a family friendly spa located in Jakarta Barat. What we would especially like to emphasise is that we are strictly a family friendly location, and will promptly ask anyone with unsavory request to leave the premises. We intend to keep the venue welcoming and comfortable for our guests that are genuinely looking for a relaxing and comforting day.